Palmetto Bay rentals are in high demand due to its family friendly atmosphere, "A" rated schools and many parks. Homes for rent in Palmetto Bay range from older ranch style homes to newer construction homes in gated communities. With most homes, townhouses and condos in Palmetto bay renting for under $5,000/mo, Palmetto Bay home rentals are among the most affordable in South Florida. Trust the Forster Team to help you find the right rental in Palmetto Bay for your needs and budget. 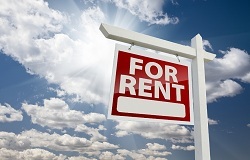 Thinking About Renting in Palmetto Bay? Nobody knows Palmetto Bay real estate better than The Jo-Ann Forster Team, your trusted Palmetto Bay Realtor. We have been successfully selling and renting real estate in South Florida for over 30 years and have a proven track record for delivering exceptional service and results for our clients. Give us a call today at 305-468-4558 or use the form below to contact us by email and let us know how we can help you.